Quantheon Touring Home - Realizing specific conceptual tour productions. 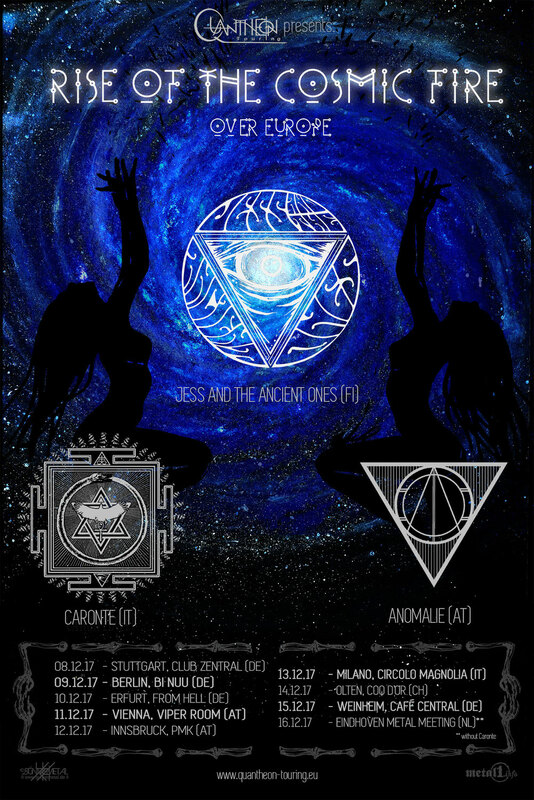 QUANTHEON TOURING adds two dates (Innsbruck & Olten) to their 'Rise of the Cosmic Fire' tour with JESS AND THE ANCIENT ONES (FI), CARONTE (IT) and ANOMALIE (AT). QUANTHEON TOURING announces first tour in December 2018 with JESS AND THE ANCIENT ONES (FI), CARONTE (IT) and ANOMALIE (AT).